Hurricane season brings more wind, rain and catastrophic loss to people and phone calls, emails and claims to home insurance companies. The majority of those calls and claims are due to flooding - not damage caused by rain, wind or fallen objects. And the response from your local agent may surprise you. Unfortunately, flood insurance is typically not covered in most homeowners insurance policies. Flood insurance helps protect the biggest investment of your life from the uncontrollable effects of Mother Nature. If you’re asking yourself or someone else, “Do I need flood insurance?” Chances are good that the answer is “Yes.” Just 1 inch of flooding in your home can cost $27,000 or more, which includes the cost to repair your home and replace personal property, according to FEMA’s Estimated Flood Loss Potential. If it isn’t within your budget to pay out of pocket for those repairs and replacements, it’s wise to look into flood insurance. Oftentimes, people who aren’t in high-risk flood zones think there’s no need to get flood insurance. Many times, they’re wrong and wind up paying out of pocket for damages. In fact, policyholders outside of high-risk flood zones file over 20% of claims and receive about one-third of federal disaster assistance, according to the National Flood Insurance Program. One example in recent memory is Hurricane Harvey, which caused catastrophic destruction to Texas and southwest Louisiana in 2017. A CoreLogic report published in CNN Money states Hurricane Harvey caused between $25 billion and $37 billion worth of flood loss. It’s reported that $6.5 billion to $9.5 billion was covered by insurance. That leaves $18.5 billion to $27.5 billion that falls to the responsibility of homeowners and renters. To sum up the answer to “Do I need flood insurance?” Yes, you likely do. Owning and renting is better lived safe than sorry. The cost of flood insurance differs by region and state. But the average cost across the U.S. is about $700 for a one-year policy. That isn’t too bad to insure your home and personal belongings against a flood and ensure you maintain peace of mind through each storm. To determine a ballpark cost of flood insurance in your area, simply enter your address into FEMA’s Flood Map Service Center. 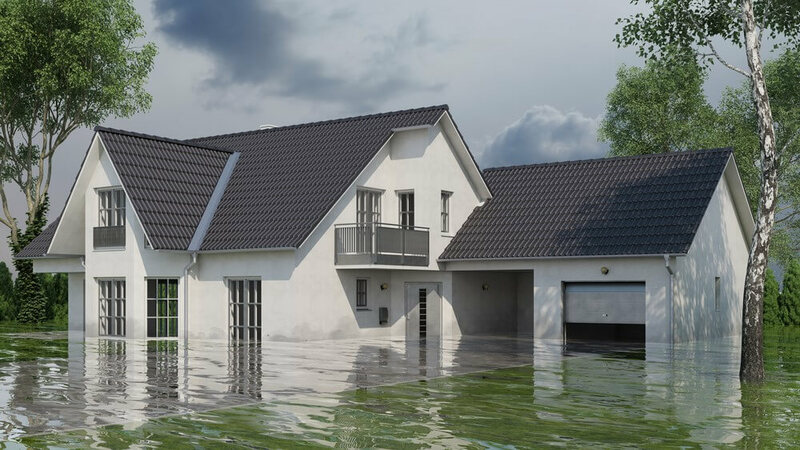 usually a 30-day waiting period after you purchase flood insurance, so you need to purchase it as soon as possible to protect against the impending storm season. No, renters insurance typically doesn’t cover flood damage. You’ll need to purchase a separate flood insurance plan to protect your things. Flood insurance for renters can be purchased the same way as it can for homeowners.